Why make predictions, one nobody can see the future? I say, why not? At the very least, it’s an interesting exercise to see how much we can guess correctly. 1. My 2016 prediction about Trump not winning the Presidency was wrong, and I’m in good company because even most of the Donald’s most devoted advocates expected him to lose. It’s not that I believed the media’s slanted coverage of him; I just didn’t think the Powers That Be would allow him to prevail. 2. Economic stagnation continues – I was mostly correct. Despite the Obama administration’s propaganda about a recovery, there are still millions unemployed and thirty-year-olds living with their parents. The post-election stock market euphoria doesn’t count; to most Americans, it has yet to deliver any material benefit. 3. Unrest expands beyond the inner cities – also correct. With the Dakota Access Pipeline, Black Lives Matter, and anti-Trump protests, we’ve seen plenty of that. Thankfully, there hasn’t been as much violence as I expected. 2016 was indeed a year of surprises. Now for my prognostications for 2017: having gone 2 for 3 in 2016 I’ll double the number. 1. Happy days aren’t here again. The economy will worsen and perhaps even return to 2008 levels. Trump will be the cause, but not directly. Because he’s an independent actor, the usual suspects at the Federal Reserve have no reason to support him and will finally raise interest rates. On the good side, it will be a long-overdue detox from the fiscal meth high of the “zero interest rate” policy. 2. Russia, Russia, Russia! Russia will continue to increase its influence, especially if Trump can put an end to those foolish economic sanctions. The Russian economy will grow through 2017 and the Kremlin will win battles and gain allies in the Middle East. 3. Oil prices are headed upward. This is a contrary view, but the world’s biggest oil producer, Saudi Arabia, has gotten itself in financial trouble with its overly generous welfare state. Furthermore the royal family’s covert support for ISIS and their meddling in Bahrain and Yemen will come back to bite them. The resulting political turmoil may cause a significant increase in prices by the second half of the year. 4. Havana will be the new boomtown. With Fidel gone, Cuba will go the way of China and attempt to meld communism and capitalism. It will be the “in” place for investors, though the Raul Castro regime will give a lot of them the shaft. 5. Humpty Dumpty sits on a wall in Brussels. If Le Pen wins in France or Wilders wins in the Netherlands (I’d say the odds are at least 50-50 for at least one of these,) the EU will effectively collapse by year’s end. If not, this autocratic alliance will continue its slow march into oblivion. 6. The corporate media grabs at straws. The “fake news” nonsense shows that media corporations are desperate. When their propaganda fails, they’ll attempt to absorb and co-opt the alt media. A few might have some limited success, but in the long run, the dinosaur networks and newspapers are doomed. One year from now we’ll see how they stack up. Despite my pessimism, I’d like to wish you all a prosperous (or at least interesting) 2017. If you wonder about the future (and who doesn’t?) check out the story collection Valiant, He Endured edited by George Donnelly and containing the short story “Ghost Writer” by yours truly. Installing Joomla is easy. Many website companies (I’m currently with Go-daddy) provide it as a built-in option that to install from their control panel. If not, download the package from joomla.org and transfer it to your server. I won’t get into specifics, as there are plenty of videos on-line with step-by-step instructions. Since the framework is free, designers make money by selling templates, which provide professional formatting and graphics. Last time I checked, the prices were mostly around $75. See templatemonster.com for examples. There are also many free templates available, including a handful of standard templates that come with Joomla itself. Commercial templates are usually optimized for a specific business, such as a travel agency, employment recruiter, etc. For personal use, a free template is usually fine, though I’d recommend using a standard one. The others are not always well supported. Even when building your own, I’d recommend browsing the template sites to get ideas. Choosing a standard template doesn’t mean you’re stuck with one look. There are many factors you can customize, including colors, fonts, and effects. One of my favorite effects is the slideshow which provides variety in the images your site provides to the world. If the template doesn’t include this capability, you can use a plugin as described below. Although Joomla is powerful, it can be maddening, because although it provides a common set of controls, the specific template determines which characteristics can be modified and how. For my main site (this blog uses WordPress, another framework which I’ll address in a later post), I recreated the look of a free template called Mystique-FJT in the standard Atomic template. Another feature of Joomla is its ability to use plugin modules to provide specific functions such as file backup, event calendars, or managing customer input. If your site is for business, a paid, well-supported plugin is worth the investment. Make sure it works with your current Joomla version, and that it’s kept current, as you may need a new plugin version for the next Joomla update. Working with Joomla requires patience and the ability to take detailed notes. For example, it took me several hours to figure out how to set my main page to the current article. When I wrote a new main-page article again after a few months’ hiatus I realized I hadn’t mode notes for the procedure and had to figure it out again. The Joomla user forum is a helpful resource, but you need to do your homework first. Learn the technical terms for Joomla’s features and gather information on your own setup before posting. Many forum exports are volunteers who understandably lose patience with “lazy” questioners. 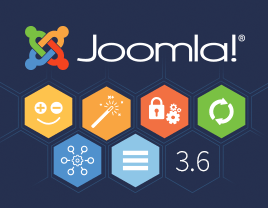 Joomla is a powerful tool for creating a general purpose websites. It takes a bit of tech savvy, so you may need help if you’re a web design newbie. If you like technology you’ll enjoy my novel Centrifugal Force, in which computer hackers plot to overthrow the government. Rogue One was a pleasant surprise. I must admit that my expectations were low, due to the disappointment that was The Force Awakens. I hadn’t been paying much attention to the media, so going in I didn’t know where it fit in the Star Wars time line. Though it’s being billed as a “stand alone” film, Rogue One fills in the gap between the 1977 first movie (also known as Episode IV) and Revenge of the Sith (Episode III.) It’s exciting, action-filled, and best of all, it’s original. The screenplay was written by Chris Weitz and Tony Gilroy, based on a story by John Knoll and Gary Whitta. Yet another director, Gareth Edwards, takes the helm for this installment, and he does an impressive job. The story line is fairly straightforward: the characters find out about an insidious Imperial plot to build a “planet killer,” which turns out to be the original Death Star. One of the more satisfying things is how the movie explains one of the most glaring flaws in Episode IV: why does the Death Star have an explained weakness? Like the force awakens, there’s a spunky female protagonist, Jyn Erso, played by the always delightful Felicity Jones. Unlike Force’s Rey, Jyn doesn’t benefit from a sudden unexpected blossoming of Jedi powers. She has to use her brains and daring to achieve her goal, to steal the plans for the Death Star. It also introduces an endearing non-human character: the cynical android K-2SO voiced by Firefly alumnus Alan Tudyk. Maybe this is because, as our society becomes more automated, we need to give machines a personality. According to Wikipedia, one of the film’s controversial aspects was the use of computer-generated imagery to portray the deceased actor Peter Cushing, and to show Carrie Fisher as a much younger woman. I expect we’ll see a lot more of this in the future. I’d also like to comment on another controversy that’s arisen in the alternative media: that Rogue One serves the “social justice” narrative by casting non-white and Hispanic actors (such as Diego Luna as Cassian Andor) in the heroic roles, while the bad guys are all white. If this was indeed a goal, it didn’t detract from the movie. After all, the Star Wars saga is supposed to take place “long ago in a galaxy far away.” The fact that the characters are even human is one of those unexplainable coincidences of science fiction. I’d like to close this review by wishing the great Carrie Fisher a speedy recovery from her recent heart attack. If you like science fiction, you’ll enjoy my novels and stories on Amazon. Christmas is one of the few times in the year when we Americans celebrate our nation’s European heritage. 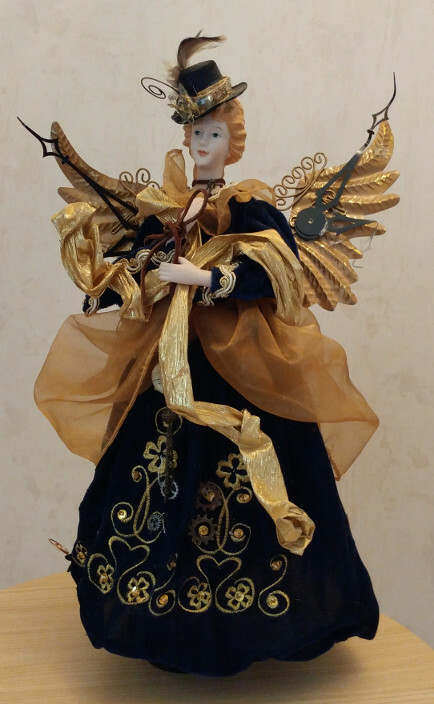 Though Christmas itself dates back over a millennium and some of our holiday traditions are ancient, many hail from the Victorian era. I believe this is partly due to the surplus of great literature from that time. This was one of the many benefits of the Industrial Revolution: a middle class with leisure time and surplus income. In other words, much of what we think of as a traditional Christmas is relatively modern, a set of cultural cliches which originated when the advance of technology brought much of our population above subsistence level. The more religious elements of the holiday, such as midnight church services, nativity scenes, and Christmas plays are many centuries old. Some of the customs with pagan origins, such as kissing under the mistletoe and burning the yule log, are equally ancient. Many of our more secular Christmas traditions, however, date from the 1800’s. * The poem “A Visit from St. Nick,” better known as “The Night Before Christmas,” helped shape our modern view of Santa Claus. It was published anonymously in 1823 and is usually attributed to Clement Clarke Moore but others claim Henry Livingston, Jr. as its author. * In his 1812 edition of A History of New York, American author Washington Irving wrote of St. Nicholas soaring over the treetops in a flying wagon, which later became “Santa Claus” after the “Sinterklaas” of Dutch New Amsterdam. * A Christmas Carol, by Charles Dickens, was published in 1843. This tale of avarice and redemption is still relevant in our modern age and has been staged and adapted dozens if not hundreds of times. It also helped establish turkey as the essential Christmas meal, though “Indian Chicken” as it was then called, was popular from the 1600’s onward. * Christmas trees are an ancient tradition that began with German pagans and embraced by Christianity. They were popularized in both the British Commonwealth and America in the 1840’s by England’s half-German Queen Victoria. * Christmas caroling, banned in England under Puritan dictator Oliver Cromwell, made a comeback when two writers made collections of old Christmas songs: William Sandys (Christmas Carols Ancient and Modern, 1833) and Davies Gilbert (Some Ancient Christmas Carols, 1823.) Many traditional songs such as “The First Noel” appeared around that time. * Jingle Bells, one of our most beloved secular holiday songs, was composed by James Lord Pierpont in 1857. 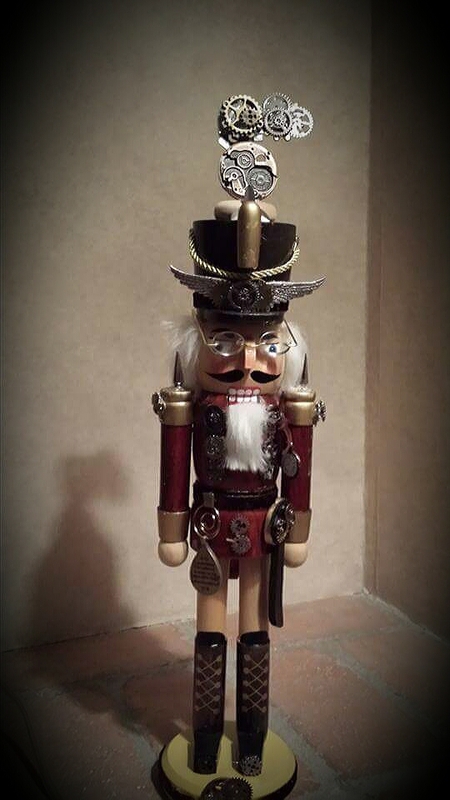 * Tchaikovsky’s iconic Christmas-themed ballet The Nutcracker debuted in St. Petersburg, Russia in 1892. * Fruitcake has been popular since cheap sugar became available in the 1600’s, but the Victorians upped its popularity by adding alcohol to the recipe. Sadly, this ingredient is absent from most commercial fruitcakes which may help explain its decline. * Santa Claus parades first appeared in Peoria, Illinois, in 1887, originally as a parade of boats on the river. Macy’s Thanksgiving Day Parade, which also featured St. Nick debuted later, in 1924, and it also helped establish Black Friday as the beginning of the Christmas shopping season. * The much beloved (and sometimes maddening) song “Twelve Days of Christmas,” was adapted from a Franco-English folk tune first published in 1780, but didn’t reach its current form until 1909. Amazon gift certificates make a great last-minute Christmas gift, especially if they’re used to purchase my e-books. Free Speech Friday: Is There a War on Christmas? It’s that time again, to hear the conservative lament about the “war on Christmas.” Is this, as the New York Times suggest, merely in our imagination? I’d agree that the term “war” is a bit of an exaggeration. Maybe “cultural skirmish” would be a better term. No one has outlawed Christmas here in America, but expressions of “Merry Christmas” and related decorations aren’t welcome in all situations. One of the drivers of this anti-Christmas mentality has been the American Civil Liberties Union. Years ago, I was a member of that organization, as I believed that it did a lot of important work to support our civil rights. I let my membership expire when they began to view political correctness as more important than freedom. Though I’ve been a religious skeptic all my adult life, I’ve never shared their hard-line view on church-state separation. What harm does it do to have a nativity scene at the county courthouse? Does this constitute establishing an official church? I see it rather as a recognition of the local culture. I’d prefer that the decorations be paid for by private donations rather than taxpayer funds, but in any case, there are a lot more egregious things we could spend our money on. This is why it’s unfortunate that we feel obligated to say “Happy Holidays” instead of “Merry Christmas” lest we offend someone who is not Christian. Though I would not go out of my way to say it to someone I knew was Jewish, or who appeared Middle Eastern, I wish I didn’t have to worry about that. Christmas is part of our culture, which is shared even by those of us who aren’t religious. For example, if I were in Japan and someone wished me a happy Gozan no Okuribi, it wouldn’t matter at all to me that I’m not Buddhist. It’s part of their culture, and besides, it’s the sentiment behind the wish that counts. Speaking of Christmas, check out the new flash fiction collection, Christmas in Love, edited by George Donnelly. I’m sure you’ll find my contribution to be amusing. Even better, the e-book is FREE for a limited time. 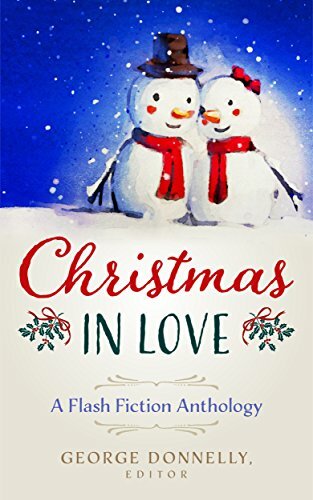 Announcing “Christmas in Love: A Flash Fiction Anthology” edited by George Donnelly and featuring a story by Yours Truly. This new collection of short works is now available on Amazon. The Kindle version is available FREE for a limited time so act now! From an unexpected twist on a classic Christmas tale and a soldier returning home from war to a pair of girls waiting for an unlikely Christmas wish to come true and a creepy evening in a museum, fill your briefest moments with this collection of 18 flash fiction stories. Commuting to work? Grabbing a quick coffee? Each story tells a complete tale in but a few short minutes with the added promise of a lifelong introduction to new indie writers. You never know, you might just find your next favorite author. Christmas in Love, the third anthology in the Flash Flood series, is a hand-picked selection of master works in romance, science fiction and fantasy themed for Christmas and guaranteed to keep you engaged. If you like Christmas and science fiction, this would be a perfect (and frugal) gift for yourself or friends and family. Ione D spies a holiday promotion! Time marches on. I have long last begun the formatting of Miss Ione D and the Mayan Marvel, my first literary collaboration with Arlys Holloway. Although the novella has been available in e-book format since May, it doesn’t seem quite real to me until I have a paper copy I can hold in my hands. This edition will be supplemented with chapter illustrations by Ben Gill, a very talented local artist we met while working on our play in conjunction with Phoenix Pride. It’s exciting to take another step toward bringing these stories to life. Someday, perhaps we can find an artist with the time and inclination to work with us on a graphic novel version. For the author, it’s akin to writing a script, complete with scene direction. Artistically, it’s a much larger amount of work, which is why graphic novelists often outsource the inking and shading to a country with lower wage rates. We sure hope the Donald doesn’t find out, or we may be in trouble! Seriously, though, from the comic, it’s a short hop to a full-blown animation, which has always been a dream of mine. 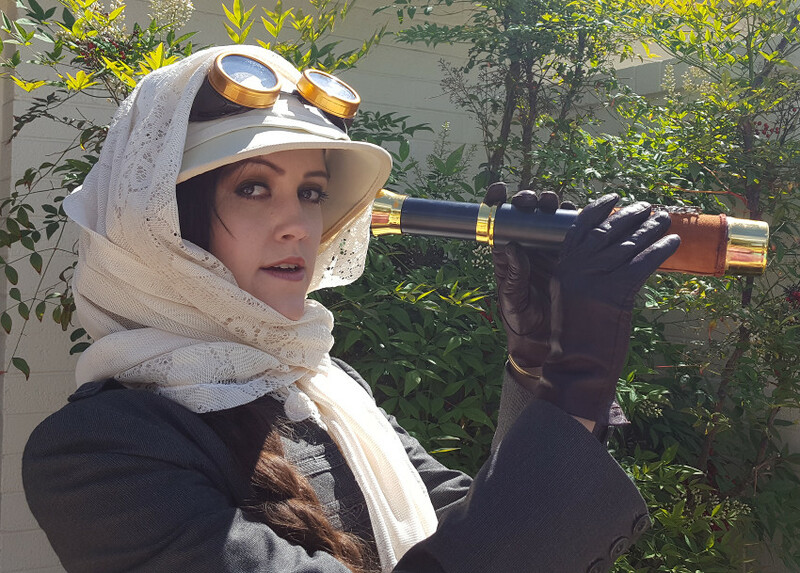 How about a score by steampunk luminaries such as Abney Park or Steam Powered Giraffe? While we do that, we’re also editing the second book in the series, Professor Ione D and the Epicurean Incident, which takes place in London in 1901. Our progress has been slowed a bit by the demands of our day jobs. Hopefully, we will both have more free time after the holidays. One of the greatest disappointments of my life has been the stalling of space exploration. Considering the rate of the Apollo moon missions in the 1970’s, I expected we’d have a permanent base there by now. Unfortunately, so much of humanity’s resources have been wasted on war, both military and economic, that it’s crippled our efforts to get into space. I believe it will happen eventually, but probably not in my lifetime. Why should humans go into space? As mountaineer George Mallory said about Everest, “because it’s there.” There are tangible benefits as well, which include scientific discoveries, zero-G manufacturing technology, mining resources in space, and the ability to avert (or survive) a planetary emergency. We’ve already benefited from sending machines into orbit. Satellites for weather, communications, and research have revolutionized our lives. Because government priorities are driven by the whims of politicians and the fickle attention of the public, NASA and other government agencies are not the answer. The private sector needs to play a major role. Private business in space got off to a slow start, in part to government regulations and the concern that space travel could be weaponized. Since the end of the Shuttle program, and the collapse of America’s Soviet competitor, we’ve seen the birth of a free-enterprise space race. Companies such as Orbital, SpaceX, Blue Origin, Virgin Galactic and dozens of others have taken up the torch. Even without the burden of government taxation and regulation, the economics of space exploration are still daunting. 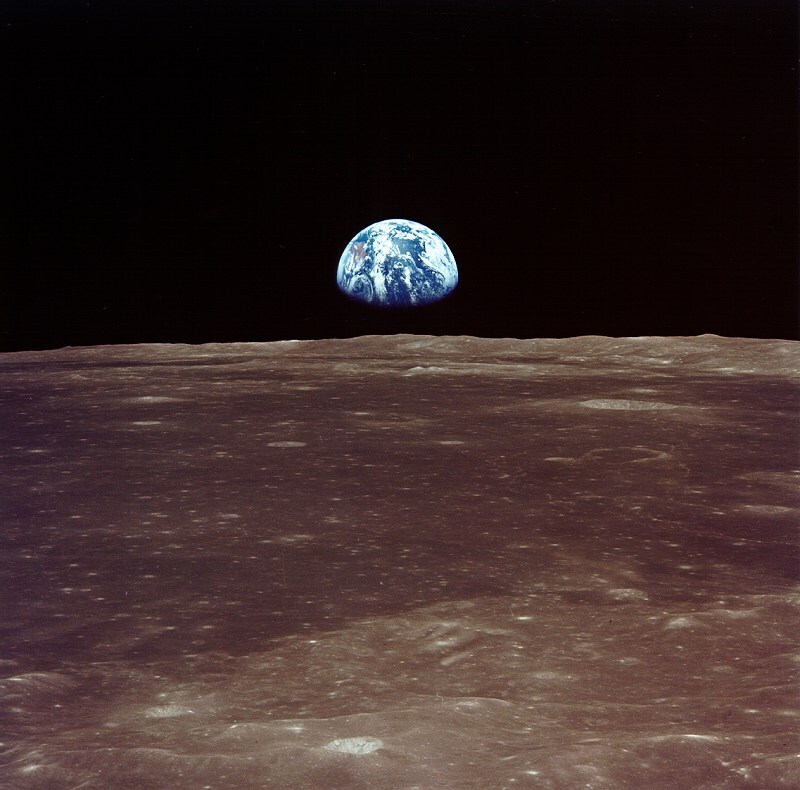 A 2011 estimate of the cost to get 1 kg of material into low earth orbit was approximately $1000. 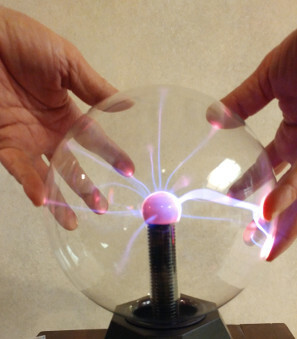 New technologies such as magnetic rail guns may be helpful (for inert material rather than living things), but escaping the earth’s gravity will remain expensive for a very long time. The microgravity that makes space exploration so interesting to engineers is also a hazard to the long-term human habitation of space. Rotating space stations are a staple of science fiction because it’s the best way to simulate gravity in orbit. Yet we have not yet created anything of the sort. Once again it’s a matter of resources. To be useful as a human habitation, a rotating station would have to be quite a bit larger than anything we’ve built so far, including the International Space Station. It would also have to be strong enough to stand the stress of constant rotation. I have hope that mankind will eventually break such barriers. Increased funding to NASA could be a carrot to the aerospace industry as America withdraws from its unproductive interventions abroad. As the US and Russia settle their differences, I look forward to more cooperative ventures between the two countries. But for the most part, the government needs to get out of the way. It’s time for space enthusiasts to put their money where their mouths are and invest in companies that will help us break the shackles of Earth.